When the United States Navy SEALs raided the hideout of al Qaeda leader Osama bin Laden, not only did they find the terrorist criminal, but they also found many of his secret files. One of the things they captured was a journal that was written by bin Laden himself. The journal was alongside other papers written by the al Qaeda leader by hand. Osama bin Laden used the journal to think out attacks that would kill numerous people. He also sent letters to other terrorists throughout the world to explain his plans to them. 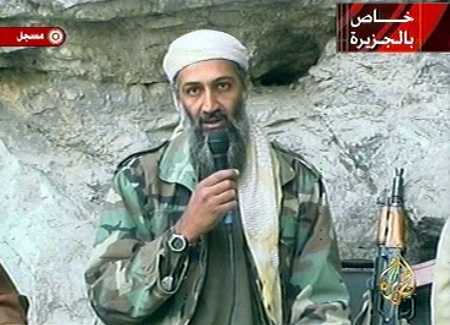 Originally, American officials assumed that bin Laden was not very hands on with the current workings of al Qaeda and did not play as big of a factor in their plots as he once did. However, the journal and accompanying documents clearly illustrate an Osama bin Laden that was very involved in al Qaeda operations and still very firmly at the helm of the organization. Osama bin Laden even discussed in the letters who should be promoted within al Qaeda and who should not. The al Qaeda leader stressed the need to kill more and more Americans. He cited the reason for it to be that the murders would send a signal to the American government to take troops out of Muslim states in the Middle East. The journal went into detail about exactly where the massive attacks were to take place. Target cities were New York, Los Angeles, Chicago, and Washington. All four cities are highly populated, vital to the American economy, and are some of the most popular areas in the country. Currently, United States officials are speaking with other countries about the documents and about how to handle future threats from al Qaeda. Also, American officials are waiting to speak with three of bin Laden’s widows and nine of his children who were taken into custody when the raid occurred in Pakistan last week. There is also much more information that was seized in the raid to look over. In addition to more hand written sources, data files and computers were also taken by American Navy SEALs during the raid. Time will tell just how much bin Laden and the rest of al Qaeda had in the works. The level of worry might be alleviated as we now have access to the personal thoughts and plans of arguably the biggest terrorist of the last twenty years in the whole world.